Oil from the camellia flower can leave hair shiny and healthy. 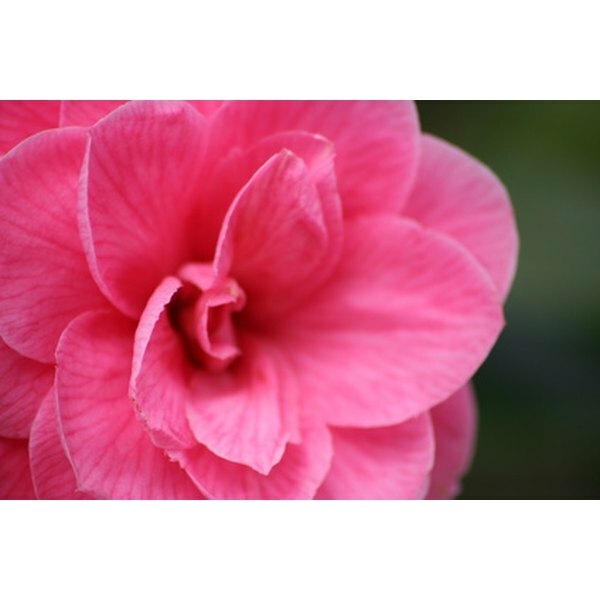 Camellia oil is an all-natural substance used in many beauty products. It is highly moisturizing, rich in antioxidants and essential fatty acids, and is used in the treatment of many skin and scalp irritations. Used as a hair treatment, it conditions the hair shaft, stimulates the scalp and encourages the growth of healthy hair. You can purchase camellia oil online or at a health food store. Place 4 drops of camellia oil directly on your scalp, evenly dispersing them on the front, back and sides of your head. Massage the oil into your scalp for about five minutes, using your fingertips. 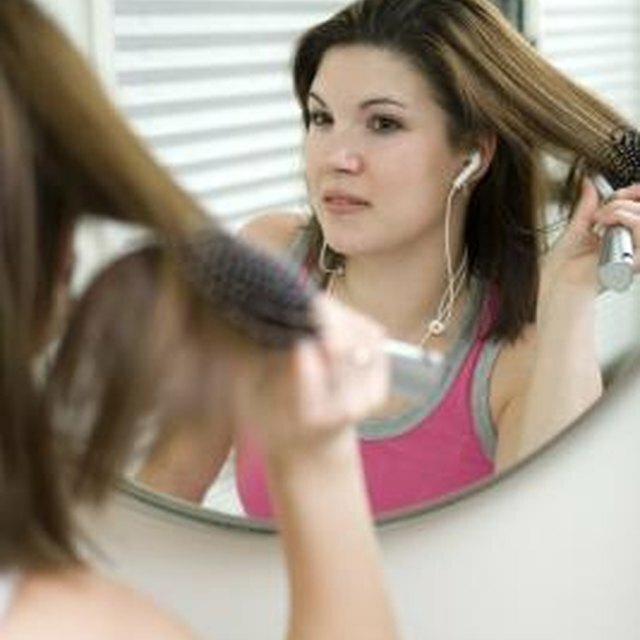 Work the excess oil down the hair shaft, paying special attention to the ends of the hair. If your hair is long, you may need to use more oil. Shampoo your hair to remove the oil, or leave the oil in overnight as a deep conditioning treatment. Repeat once a week. You can also use camellia oil on just the ends of the hair after shampooing to make split ends look healthier and conditioned.